With a wide range of colors, sizes, and thicknesses, Elixir Door and Metals Company can supply your needs. 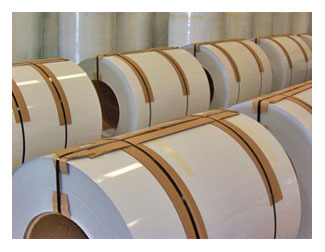 Elixir Door and Metals Company has a wide assortment of painted aluminum coil we supply to customers across the country. The extensive selection of colors, sizes and gauges allows Elixir Door and Metals Company to provide several options to customer requirements. Please contact your nearest supplying division for more information.